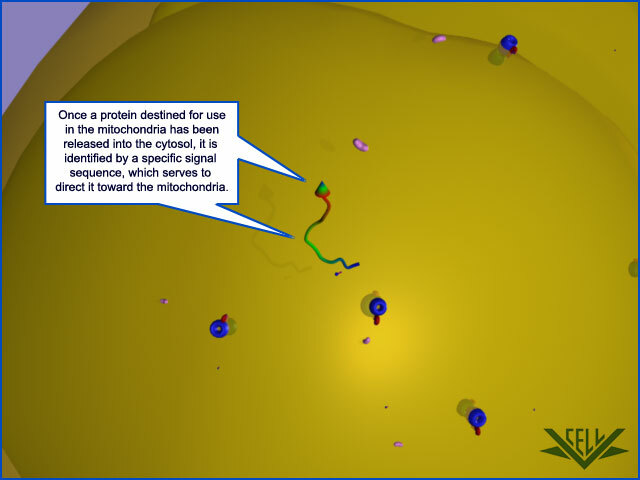 Mitochondria are one of the sites where protein transport occurs within a cell. 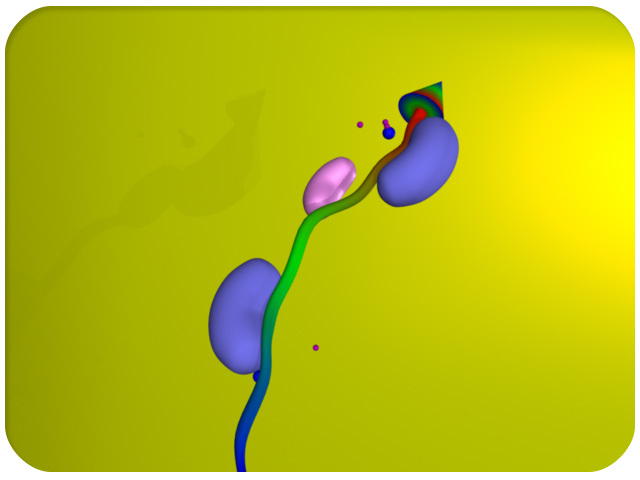 Most organelle proteins are synthesized in the cytoplasm from nuclear encoded mRNAs. These proteins must be imported into the organelle. 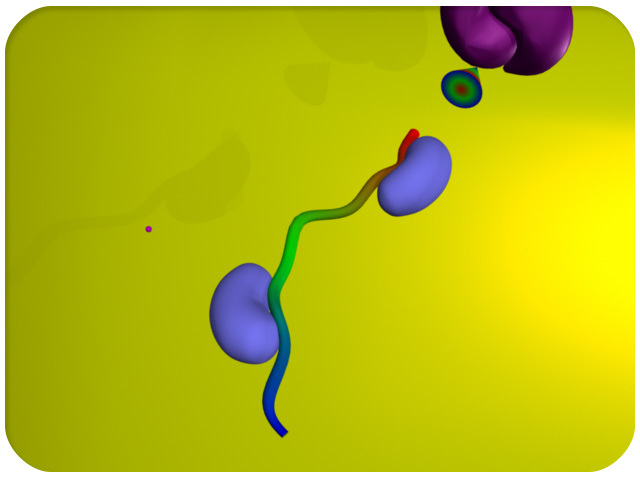 Special sequences, called signal sequences, target the protein to its proper organelle. 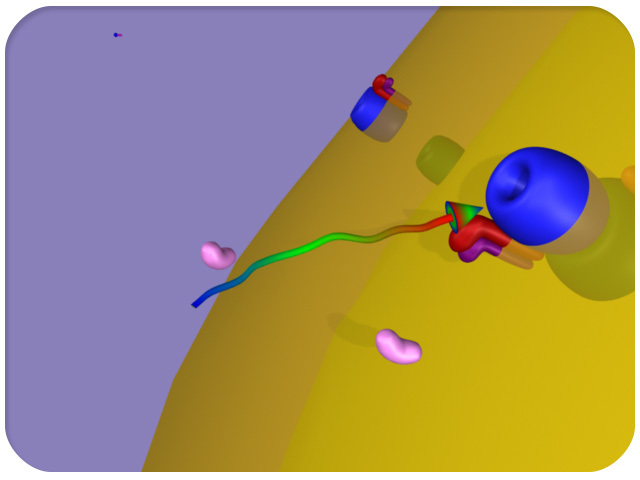 Organelles contain protein translocator complexes that are required for this transport. 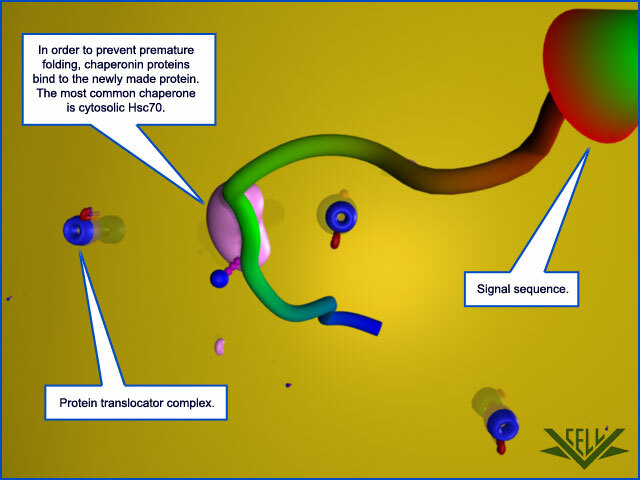 Key players in this process are protein, a signal sequence, chaperonins, ATP, protein translocator complexes, and signal peptidase. 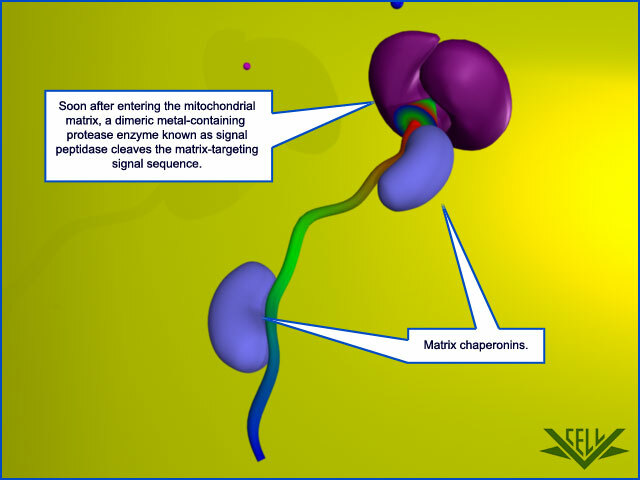 Proteins destined for transport into an organelle, such as a mitochondrion or chloroplast, contain a signal sequence. 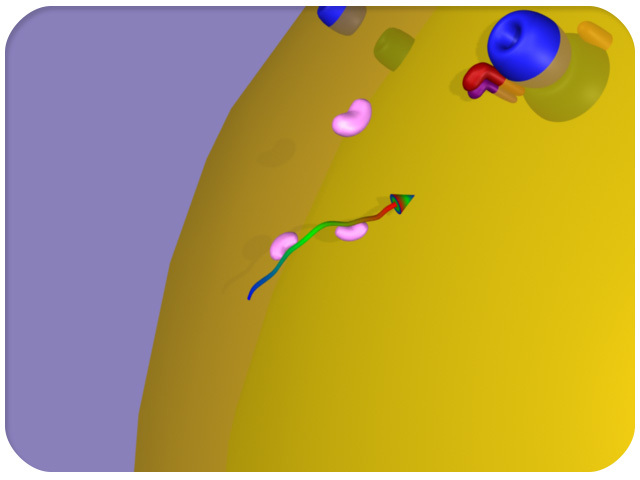 This sequence acts as a targeting mechanism to ensure the protein is delivered to the proper organelle. 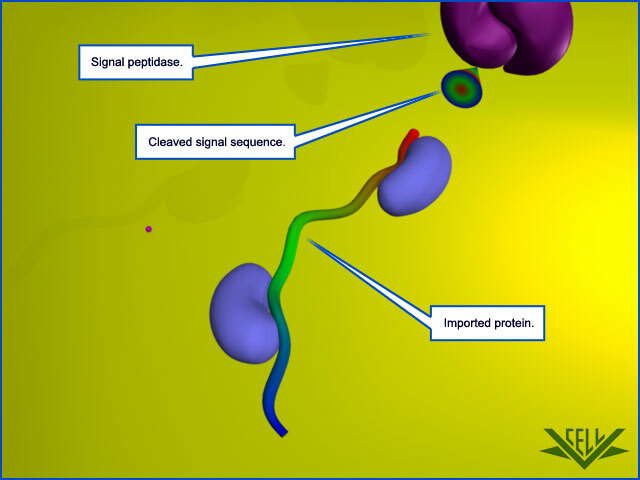 In addition, chaperonin proteins aid in the import process. They become associated with a protein while it is still in the cytoplasm. This association require energy from ATP. 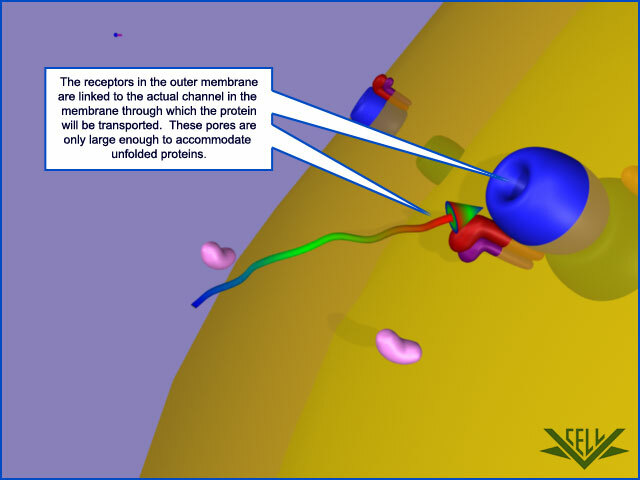 Chaperonins aid in unfolding the protein, so that it can travel through the organelle membrane. 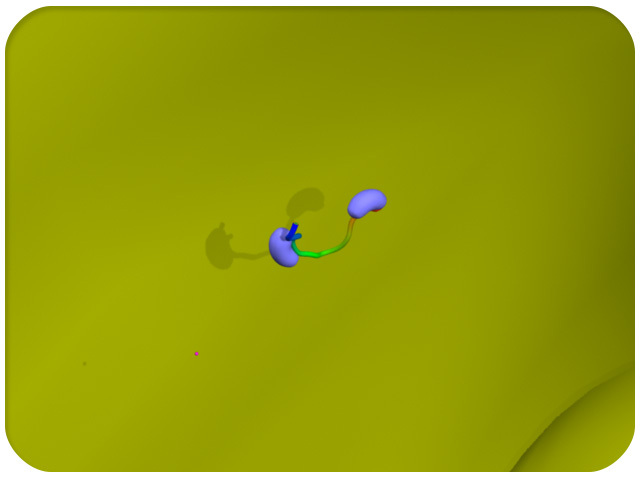 Here we see two chaperonins bound to the protein that will enter the mitochondrion. 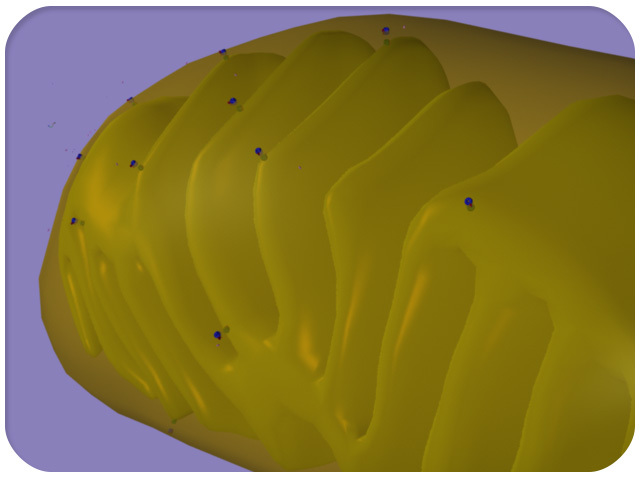 Protein translocator complexes are embedded in the mitochondrial membrane. 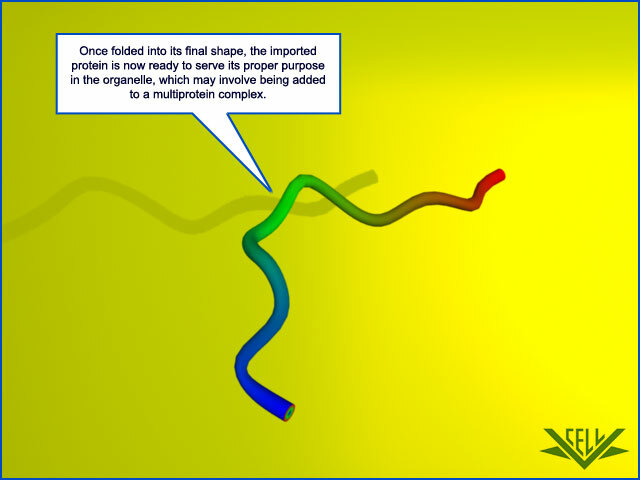 These are multi-protein complexes required for protein import. 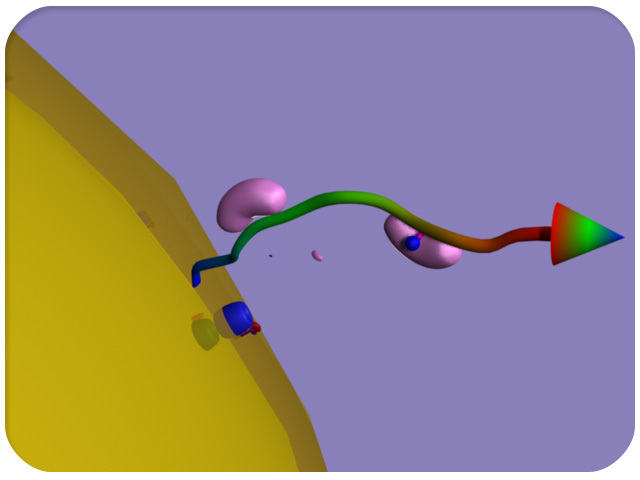 The protein being transferred first attaches to the complex on the cytosolic side. The protein then moves into the mitochondrion. 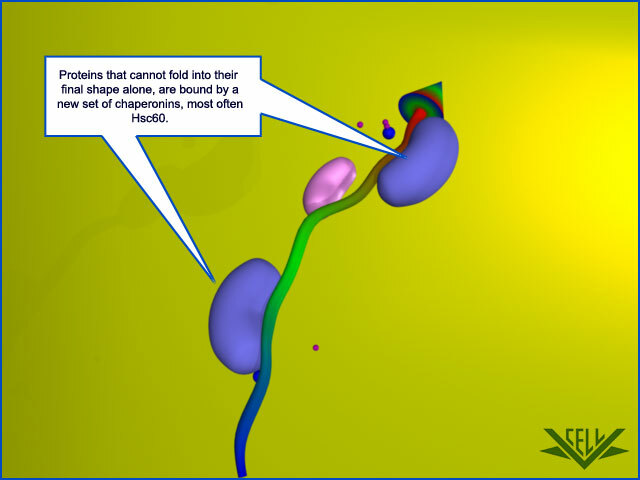 As it enters the organelle it is again bound by a chaperonin to prevent premature folding. 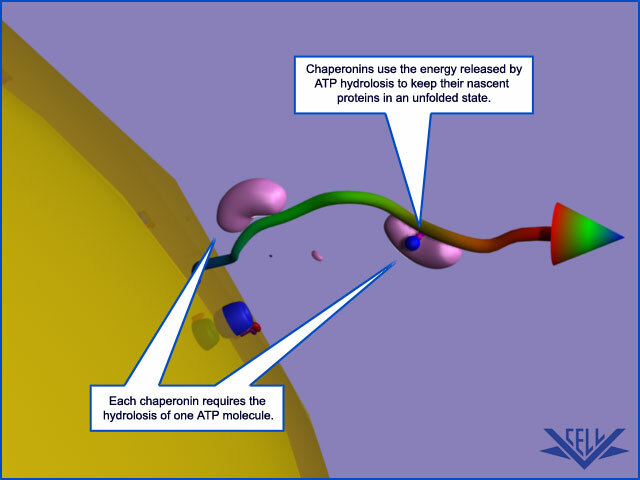 Once the protein has fully entered the mitochondrion, the first chaperonin is released and another class of chaperonins bind. Then a complex called the signal peptidase removes the signal sequence. 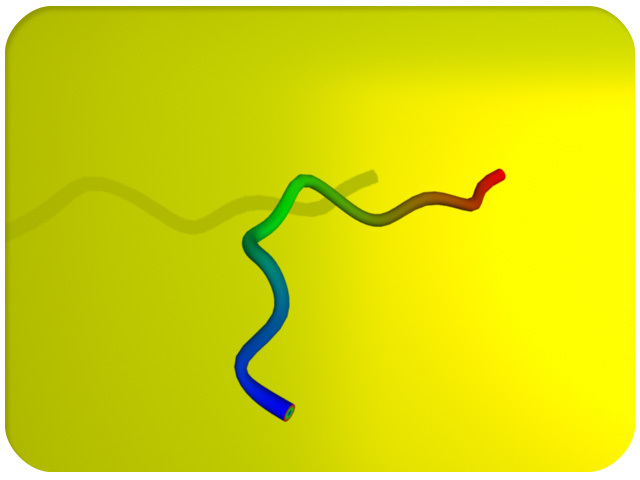 Lastly, the protein is folded into its final shape, and is ready to perform its proper function in the organelle. 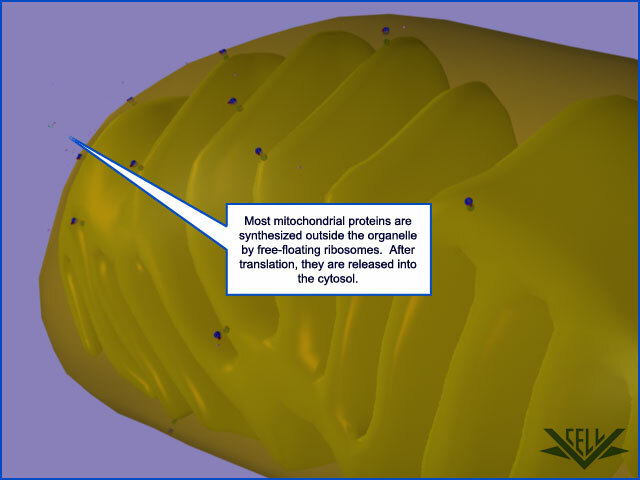 Most mitochondrial proteins are synthesized by ribosomes in the cytoplasm, or cytosol, of the cell. Proteins destined for mitochondria are identified as such by markers known as signal sequences. Specialized proteins called chaperones bind to the protein to prevent premature folding and aid in transport to the mitochondria. 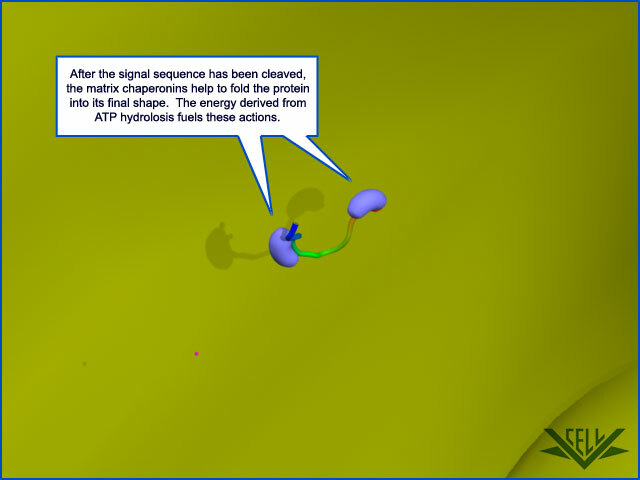 Chaperones use the energy from ATP hydrolosis to keep the precursor protein unfolded. 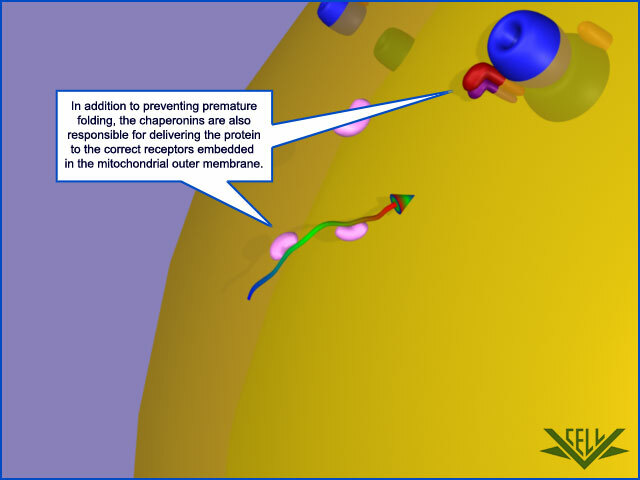 The protein is then guided to the mitochondrial outer membrane. 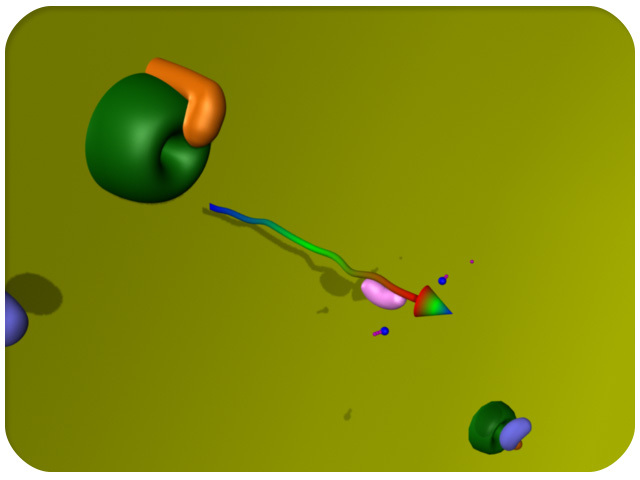 Special receptors embedded in the outer membrane recognize the protein's signal sequence. 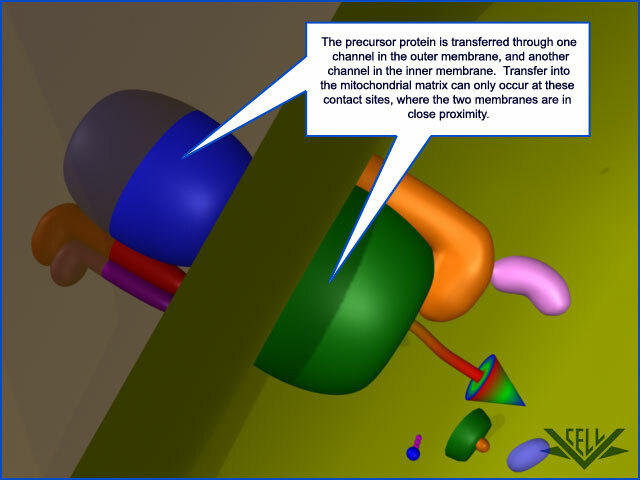 The protein is then transported through pores in the mitochondrial inner and outer membranes. These pores are associated with the receptors and together are known as a protein translocator complex. 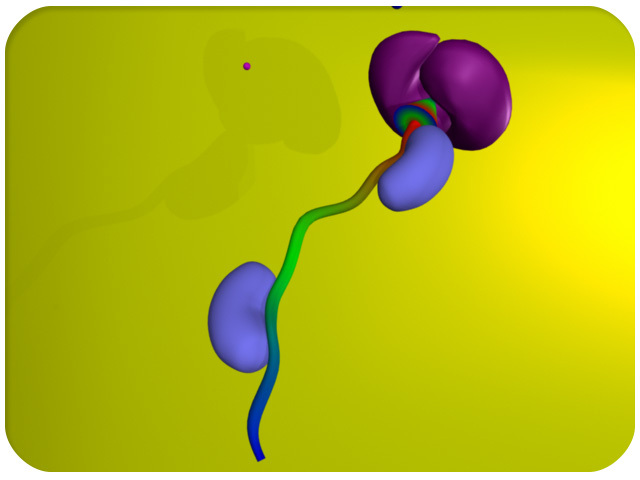 Once inside the matrix space, the protein is again bound by a chaperone to prevent folding. The first chaperone then leaves as new chaperonins attach. 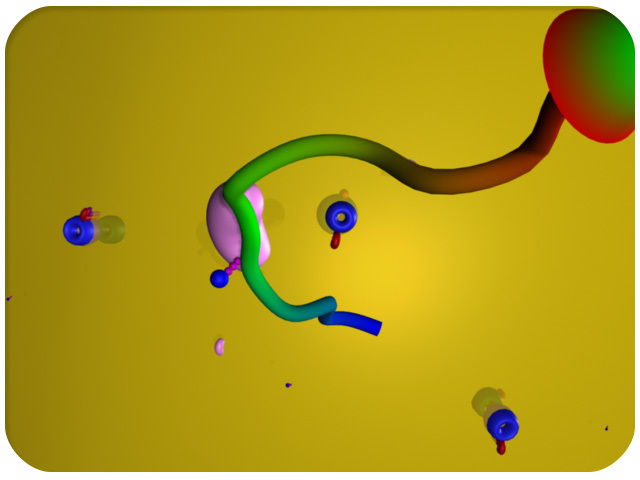 These new chaperonins will aid in folding the protein into its final shape. 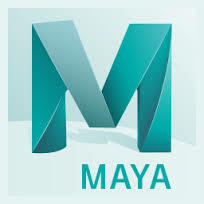 Soon after entering the matrix, an enzyme known as signal peptidase detects the protein's signal sequence. 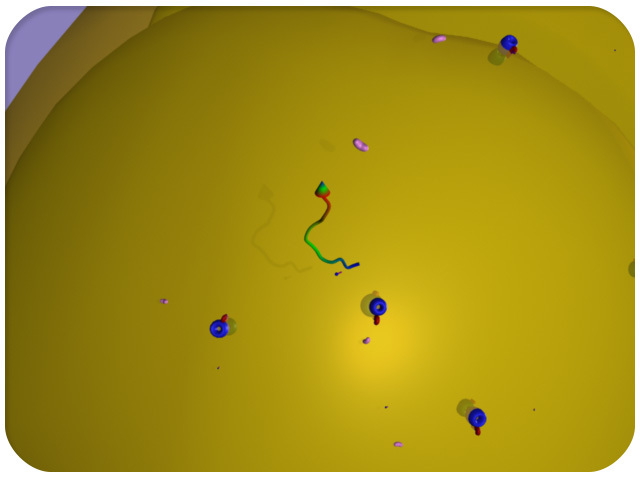 Signal peptidase then cleaves the signal sequence from the protein. 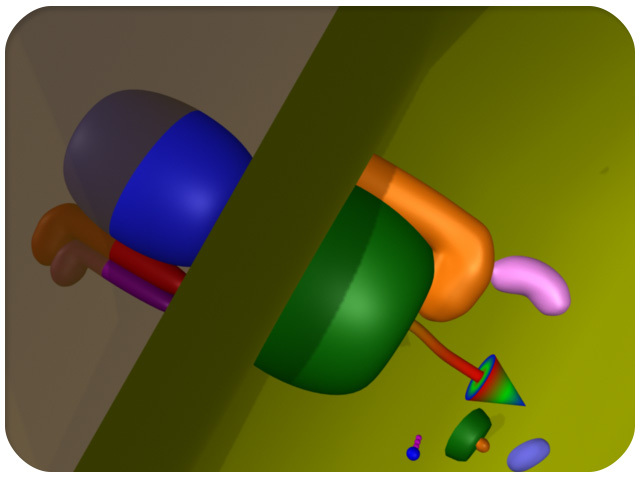 The chaperonins finish folding the protein into its final shape. 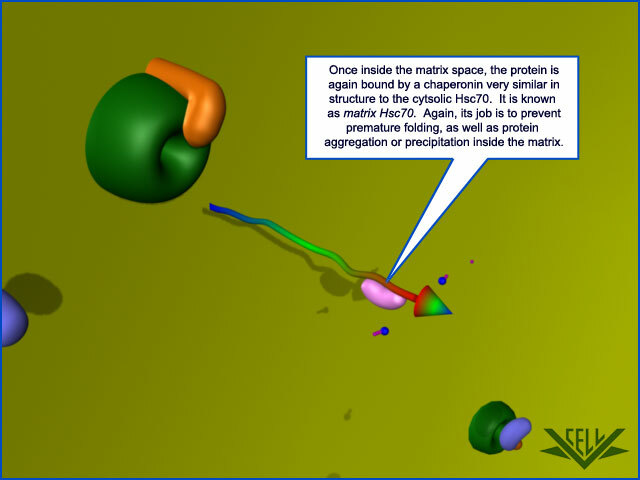 Once folded into its final shape, the protein is now ready to perform its proper function in the organelle.